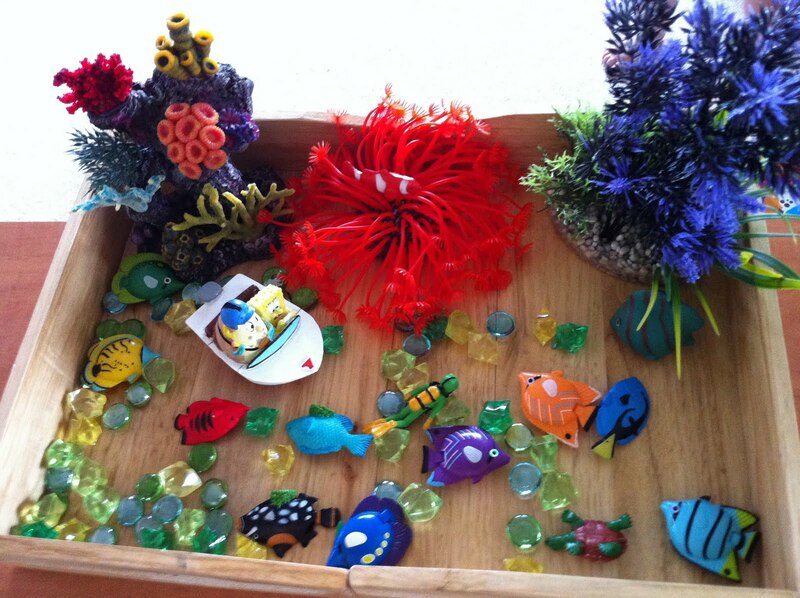 Our inspiration to Aquatic Sensory Box was a movie "Finding Nemo". Eaton loves that movie so much that he started to pretend play with plastic fish we already had at home. Idea came to me right away: why not to do some sensory box that is so popular on other blogs?! Check my next post about Eaton's new friend. It's another "Finding Nemo" inspiration. 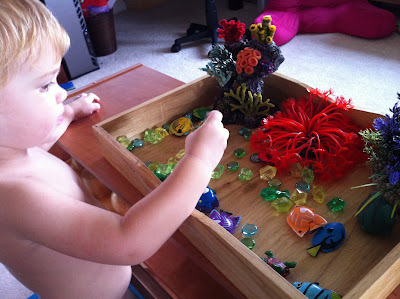 This is a fun sensory box! Thank you Patty:) Eaton enjoys that a lot!